Our company has earned accolades in the industry for its superior quality Single Pole DC MCB. Procured from leading brands in the industry these products are of fine quality. The skilled and expert professionals involved in the manufacturing of these products ensure their super fine finishing and quality for better quality products. Tested for manufacturing defects and packaged efficiently our products keep our large score of customers satisfied. Customers can procure these from us at leading prices with an assurance of their uniform performance always. Dual tripping system-overload through precisely caliberated bimetal and short circuit through electromagnetic coil. DC MCB incorporate a built in permanent magnet, which direct the arc into the arc quenching chanber. Free from nuisance tripping caused by vibrations. Time constant < 5ms . DC MCB offers a unique feature of knob assuming mid trip position in the event of fault. This enables clear visual indication of the faulty circuit. Housing of DC MCB is made u of fire retardant, anti - tracking and non - hygroscopic injection moulded thermoplastic polyester. 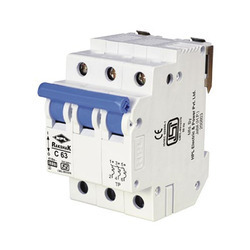 Contacts are made up of silver inlaid copper, which ensure low resistance and longer life of circuit breaker. 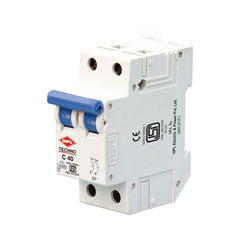 Impact Resistance: 3g, Atleast 2 impacts duration 13 ms.
Our company has earned accolades in the industry for its superior quality Double Pole DC MCB. Procured from leading brands in the industry these products are of fine quality. The skilled and expert professionals involved in the manufacturing of these products ensure their super fine finishing and quality for better quality products. Tested for manufacturing defects and packaged efficiently our products keep our large score of customers satisfied. Customers can procure these from us at leading prices with an assurance of their uniform performance always. 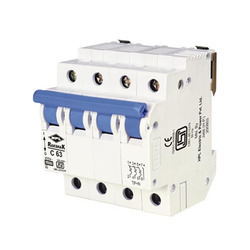 We specialize in offering a strong assortment of Double Pole MCB which is used at various commercial and non-commercial sectors. Entire array we offer are acknowledged for the characteristics such as easy installation, high performance and better connection. The range is designed at our certified vendors end considering the requirement of industries such as electronic, electrical and engineering. Standard thickness of 17.55mm, similar to lower rating of MCB (0.5 A 63 A) to facilitate easy mounting in any Distribution Box without requiring any extra space or special Distribution Boards. Heavy duty screws have been provided for better tightening of contacts. Heavy duty ETP copper terminals and extra thick silver inlaid contacts ensures low temperature rise and low watt loss. 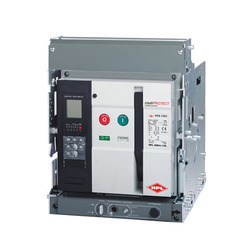 Our company has earned accolades in the industry for its superior quality Pole DC MCB. Procured from leading brands in the industry these products are of fine quality. The skilled and expert professionals involved in the manufacturing of these products ensure their super fine finishing and quality for better quality products. Tested for manufacturing defects and packaged efficiently our products keep our large score of customers satisfied. Customers can procure these from us at leading prices with an assurance of their uniform performance always. 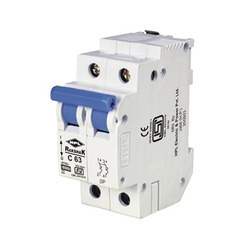 We are one of the leading manufacturer and supplier of Air Circuit Breaker. We obligated to meet the quality standards as per the customer demand.